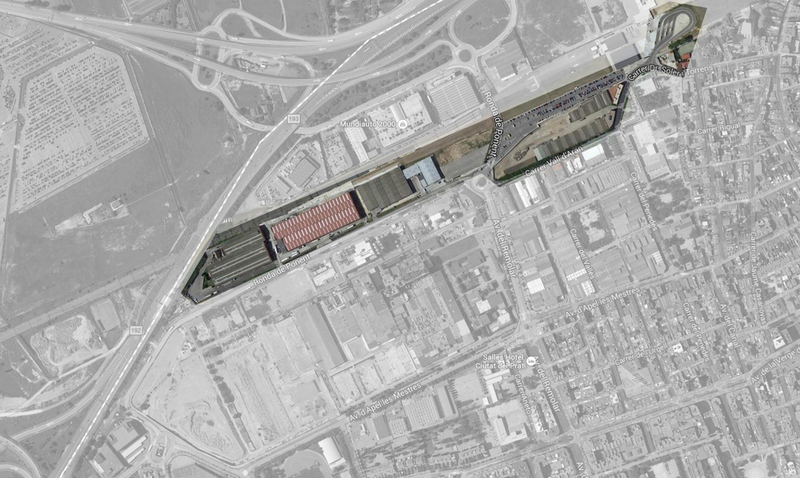 The ZAL-Prat Station and the companion O&M building are both located in an industrial area close to Barcelona’s Port in a hostile environment populated by industrial buildings. Both buildings are the only facilities in the area that are accessible to the public. Because of the unfriendly nature of the environment around the ZAL-Prat Station, the design team opted for a more classical approach, designing a close building with a clear entrance that would allow for a more close relationship between the infrastructure and the user. The building was also conceived as a safe refuge in case of a chemical emergency due to the proximity of the Port’s logistic area. The facade for both buildings were designed using industrialized materials, applied in a way that will integrate the buildings with the line viaduct built with a mixed steel-concrete upper edge structure. The storage and O&M facility is an industrial building whose facade was designed to remind the historical Catalan industrial modernism. The facade is made of brick panels and adapts to the curved alignment of the tracks. Inside the building, the panels create areas of shade and light, creating an industrial atmosphere. The maintenance facility can accommodate 12 trains. 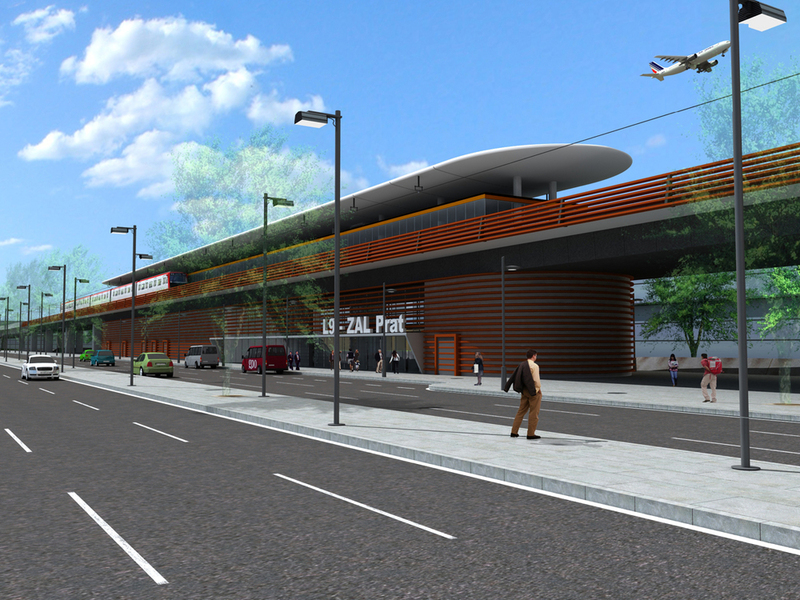 Guillermo Aguilar, AIA worked as planning and design consultant to Barcelona’s GPO Ingenieria, Inc. and was a Principal of the GPO/Transitworks design team.